Are you searching for a cost-effective way to promote an event, market a grand opening or highlight products and services? Are you an artist looking for a way to sell your art prints? Short run posters can do the trick. Creating a clean design can make your poster stand out and become a powerful marketing tool that can be hung around town. With a low price of $1.00 per print, you can profit from the benefits of posters, and they can push you to a profitable ROI. For an artist, this is especially an ideal avenue to keep high margins on your prints. Available in two popular sizes: 11” x 17” and 12” x 18.” With no order minimums, it’s hard to pass up adding short run posters to your marketing and sales tool chest. Do you need to get the word out about an upcoming event? You can attract the demographic you’re seeking for your event with short run posters. Below is a list of some events that can often have greater turnouts when advertised with posters. Return on Investment from this type of advertising might not be easy to quantify if you are hanging them up in addition to sending marketing emails, mailing postcards, or posting on social media. However, with their low cost and your great design, they will stir up interest in your community and generate word of mouth advertising from the people who see them. There are many places you can put them to draw in potential visitors to your event. Pro Tip: Get permission prior to posting your posters. This will help ensure your ads are not taken down before your event. Do your research and educate yourself about the laws and ordinances in your area. This will pay off in the long run. Frequently artists who work digitally want the ability to sell their art prints in masses through avenues like Etsy, local art fairs, or weekly community markets. 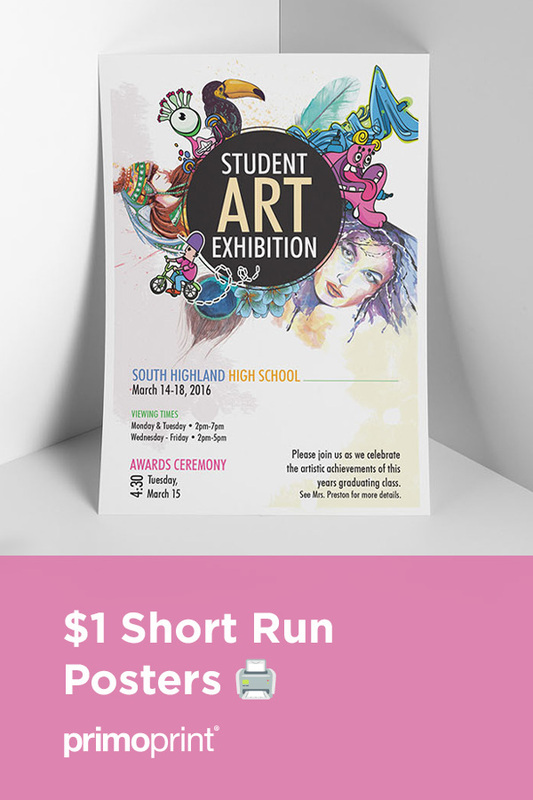 Short run posters give you an affordable option for printing on demand as needed, and not having to buy large quantities of a print, before you are sure if it will be a popular seller. You can advertise your work through an e-commerce site and print them as orders come in. Or print 10 – 20 off before an event and not have to carry a large number of items with you to different locations. There can be a significant return on investment by selling your artwork printed on short-run posters. Say you want to do a limited run of 100 digital prints. You purchase them for $1.00 a piece and have nominal shipping at around $15.00 per 100 prints. At the cost of about $1.15 per copy, you can then very easily sell each print in the $15.00 – $40.00 range, and possibly, even more, depending on your print’s popularity. With margins like these, short-run posters are an excellent and cost efficient way to sell your artwork. Ensure members of your community are aware of events and information that may impact their health, well being, or local neighborhoods. Provide daily visual reminders to your community to strengthen your other outreach marketing efforts. Hanging posters around your community in places such as local cafes, libraries, food banks, grocery stores, and other frequently visited businesses will get the word out to a wide range of community members with the goal of getting them engaged. Printing posters have proven to be a cost-effective and versatile marketing tool. 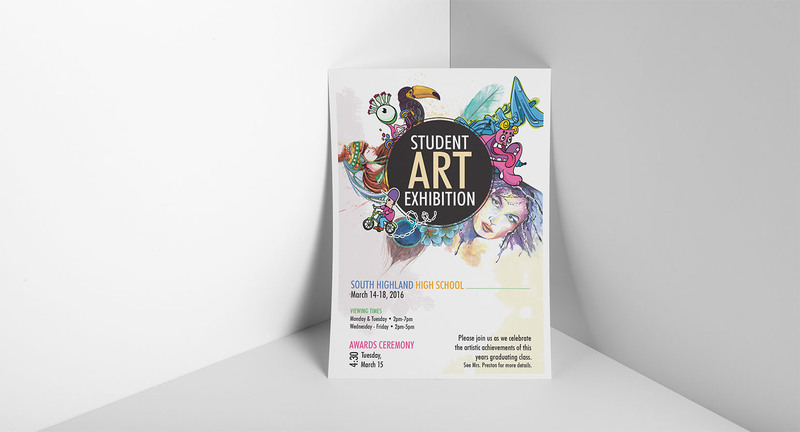 They’re an exceptional way to expose your business and artwork to potential customers. Posters continue to be a valuable tool to the artist who needs to sell their artwork to the masses, and not heavily invests on the front end for large print runs. With a short turn around time, you can start printing your posters today. PreviousWhat is Brand Photography and How Can it Help Grow Your Business?